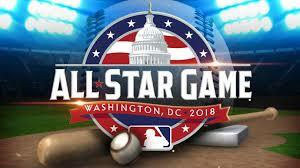 It is mid-July and we have arrived at MLB's All-Star Break! The big game is tonight and it likely will be the last game that Manny Machado plays wearing Orioles colors. A trade to Philadelphia seems almost certain within the next few hours. The Orioles have managed to crawl out of the cellar. They are no longer the worst team in baseball, by virtue of their recent 4-4 homestead they have become the second worst team in baseball by .005 percentage points. It is possible, but not likely, that the Orioles (28-69, .289) will win 30 games before accumulating 70 losses. They remain on track to lose 115 games this season and it will likely get worse as the fire sale gets underway. The Orioles are chasing the 1962 Mets (40-120, .250) for the most losses in baseball's modern era (since 1900). The worst team of all time are the 1899 Cleveland Spiders (20-134, .130). I think that record is safe. It is sad that this season, which began with so much promise and a win has devolved into wondering if the O's will set a modern era record for the most losses and trying to divine which three or four starters may return next season. I'm not sure I want to learn the names of another all new lineup. The abysmally poor season has sapped my interest in baseball. Can I get a refund on my partial-plan season tickets?